Poor old Fox has lost his socks - can you help him find them? Are they in the kitchen or under the stairs? Are they inside the clock or hidden in a chest? Lift the flaps and find out! With sturdy flaps on every spread and rhyming stories that are a joy to read aloud, the Tales From Acorn Wood have been delighting both parents and toddlers for over fifteen years. 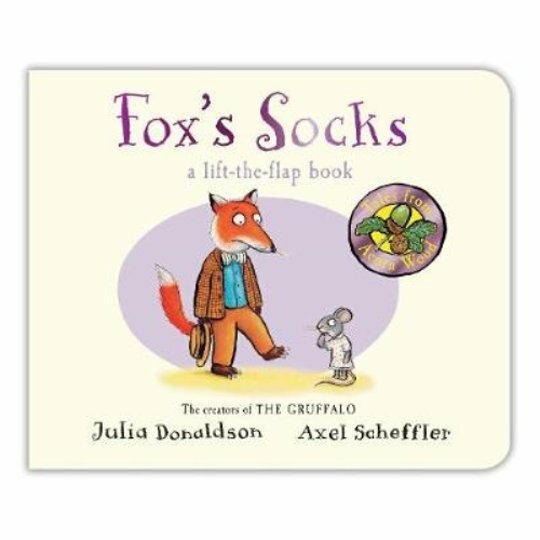 Celebrate their unending appeal with Fox's Socks, a beautifully produced board book with a gorgeous shiny-foiled cover look.